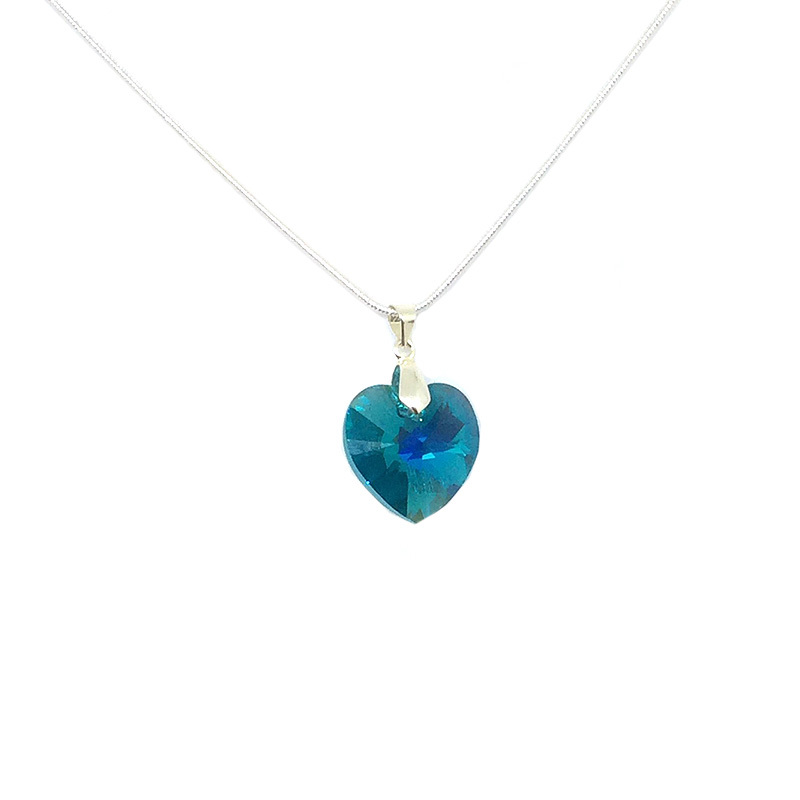 A gorgeous sterling silver green Swarovksi heart pendant that looks fabulous day or night! It also makes a perfect gift for her, whatever the occasion. Featuring a stunning emerald green Swarovsky elements crystal heart, which shimmers beautifully in the light, this pendant measures approximately 16″ and is finished off with a quality sterling silver snake chain and bail. Our Sterling Silver Swarovski elements crystal collection features stunning pendants with matching earrings that come in two different sizes and five exquisite colours. A perfect gift!